High Pressure Cleaning, Low Pressure Exterior House Washing & Roof Cleaning Services for Undullah, Logan. 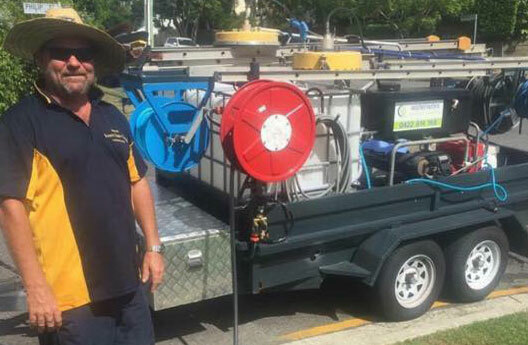 We have a complete offer for exterior pressure cleaning in Undullah, Logan. We not only clean but also will apply coatings to your deck, driveway or concrete. Waterworx Pressure Cleaning Undullah, Logan will produce the best results that can be achieved with safe pressure washing. Q. What can I expect from Waterworx Pressure Cleaning Undullah, Logan? A. Be aware of high pressure cleaners that don’t have the correct insurance, or use inferior methods and cheap “supposed commercial chemicals”. You will find that our methods and machinery produce amazing results. When you compare apples to apples, Waterworx Pressure Cleaning Undullah, Logan has very competitive pricing. We are happy to explain why our service is not only superior in results, but also equates to no damage. A. Yes. We at Waterworx Pressure Cleaning Undullah, Logan have adjustable pressures and we utilize wide angle nozzles on the cleaning wands. So call Waterworx Pressure Cleaning Undullah, Logan for a free quote today.